No. 19 Boys Latin and No. 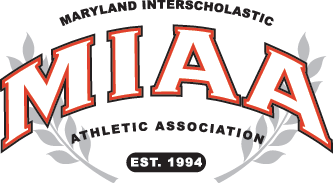 20 Severn battled, Thursday in Roland Park, for first place in the MIAA B Conference soccer standings and the top seed in the league playoffs which get underway next week. The contest ended in a thrilling, 3-3, double-overtime draw, which played to the advantage of the host Lakers, which came into this regular season finale with a three-point lead over the Admirals. The tie locked up the top seed for BL and Severn will go into the post-season as the second seed. Both teams have earned first round byes and will host semifinal games next week. Sam Grace had a big day for the Lakers (14-2-2, 14-1-1 MIAA B) scoring a pair of goals and assisting on a score by Ben Smith. Jack McCarthy had two goals for Severn (14-4-1), including a score late in the second half which forced overtime. Nathan Gauthier also had a goal and an assist for the Admirals. Elsewhere in the conference, suddenly red hot Concordia Prep (13-5-1, 10-5-1 MIAA B) routed St. Mary’s, 6-2, and defending champion Friends (9-4-2 overall & MIAA B) edged Gerstell, 2-1. Concordia, which completed its regular season, has 31 points and currently sits in third place. Friends, which has 29 points in fourth place, will close its regular season on Friday at Annapolis Area Christian. A win by the Quakers and they will leap over Concordia and into the third playoff seed. Regardless, both teams will host quarterfinal playoff games on Monday. Park School (6-6-3) has locked up fifth place and will play its regular season finale on Friday at Saints Peter Paul (5-9-1), which will go into the playoffs as the sixth and final seed. Saints Peter & Paul is currently tied for sixth with St. Mary’s (5-10-1), which has completed its regular season, but the Sabres have the tie-break by virtue of a season split with Friends, which swept the Saints. The teams split head-to-head and have identical record against BL, Severn and Concordia, leaving the tie-breaker to fall on the results against the Quakers. Park will open the playoffs on Monday at the fourth seed, while Saints Peter & Paul will play at the third seed.